The raw, punk, dynamic images are a condensed expression of emotions of 20-year olds contesting the reality. Sono points the camera to himself and his friends, running around town, screaming, or staging a scene of being kidnapped by mythical, water creatures. The young filmmaker also portraits his family, in an unexpected combination of the poetics of the shaky "home video" and a metaphorical installation. The plot is not relevant – it is an anarchistic memoir or a sketch book with the ideas Sono will develop throughout the years. 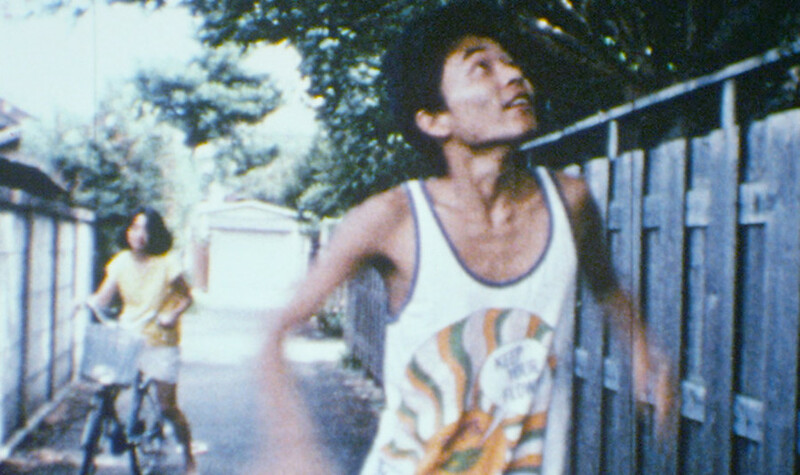 This early film by Sono is a brilliant example of a popular 1980s phenomenon, jishu eiga - "do-it-yourself" films, made on a shoestring budget from the sheer desire to immortalize the moving pictures on print. These are the spontaneous experiments, powered by sheer creative energy, that the director referred to almost three decades later in "Why Don't You Play In Hell?" - a portrait of young amateur filmmakers shooting film among yakuza members. The word "hanamichi" from the original title means the part of the stage in Kabuki theater where the entering characters present themselves – a prophetic thought, since the film marked Sono's entry to the world of film. It brought him the Grand Prix of the independent film festival Pia. The stipend he got along with the award let him shoot his first professional full feature. The film comes from the Pia FF archive. It was restored (but with respect to the roughness of the original 8mm print) and digitized as part of the project of promoting independent Japanese cinema of the 1970s and 1980s.